There are times when you are left with cooked rice and you wonder how to put it to profitable use. I have found it a big time saver to make different types of rice using cooked rice which is readily available. 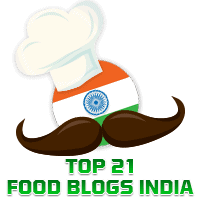 You will find a number of recipes for these dishes in this blog including Maavinkayi Chitranna or Raw Mango Rice and Curry Leaves Rice. They are useful additions to the lunch box or a quick packed lunch. Today, I'll share how I make another dish using cooked rice and coriander leaves called Coriander Leaves Rice. Coriander leaves are called Kothambari Soppu in Kannada. I hope you will enjoy this dish. Wash the coriander leaves and slice the onions. Keep aside. In a mixer, grind the coriander leaves together with chopped ginger, garlic pods, and green chillies to a fine paste, using just the required amount of water. Keep aside.